Summer Coffee Lovers Blog Hop!!!! 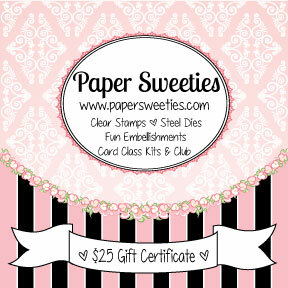 Paper Sweeties is a proud SUPER SPONSOR ($25 gift certificate) and FLASH PRIZE SPONSOR ($25 sequin prize package)! AND, we are offering a 10% off entire full order June 17th - 24th using coupon code: coffeehop (discount not applicable on retiring soon, sale or gift certificates). I stamped the images onto Bristol Smooth paper with black Archival ink. I then colored the images with my Zig Real Color brush pens. And I blended the colors with my clear Sparkle Spectrum Noir brush pen. I LOVE these sparkle Spectrum Noir pens! 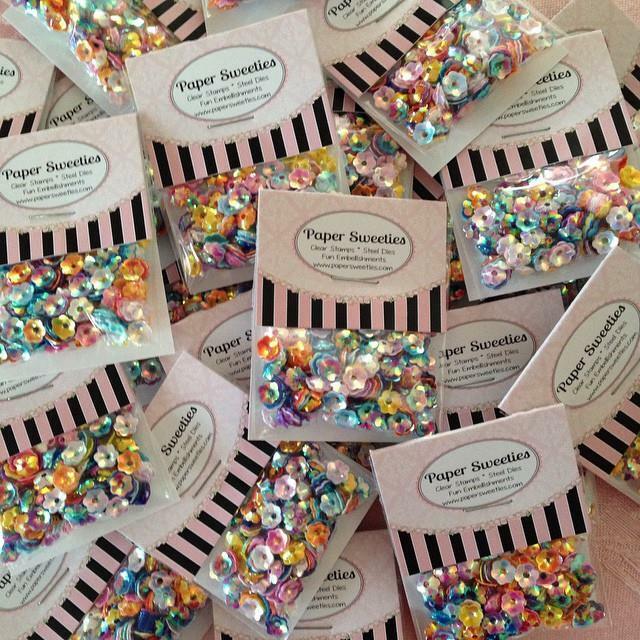 They make everything so sparkly! Unfortunately, that doesn't show up in the photo. We hope you will join us! There are some fabulous prizes up for grabs!!! Oh this is so super cute, I love the images and the cute papers you used. Love all your delish layers of goodness! Oh Mackie, this is beautiful!!! Love the coloring and the colors and all of your little details and that paper is so pretty! Love love love the colours you've used here. Fun card!! Fabulous coffee card...love your wonderful images. Love your coloring and bright colors...beautiful card. Colorful and love the sentiment with your coffee card. This is very pretty with all the bright, happy colors. Such pretty colors!! Absolutely BEAUTIFUL! So happy and pretty Mackie, definitely feels like a hug!! 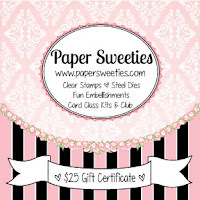 Love all the color, Mackie, love that Paper Sweeties set! Happy hopping and Enjoy your summer! Such a fun and cheerful card Mackie! Love the bright and colorful patterned paper! Awwwww, so much fun and perfect summer creation, totally love it and beautiful sentiment! Very 'happy' card...with all the bold & brilliance of the zig colors. Especially love the 'texture' on the coffee pot and the little spatters around the focal images. Looks lovely with the oval shapes and the tiny florals as background. So many sweet little details to make this such a special card! TFS & have a good week ahead. Mackie, this is so bright and colorful! I love it! The colors are just gorgeous! Darling card! Love the splatters, the hearts, and the bright colors, Mackie! Wonderful bright colors and a great composition. 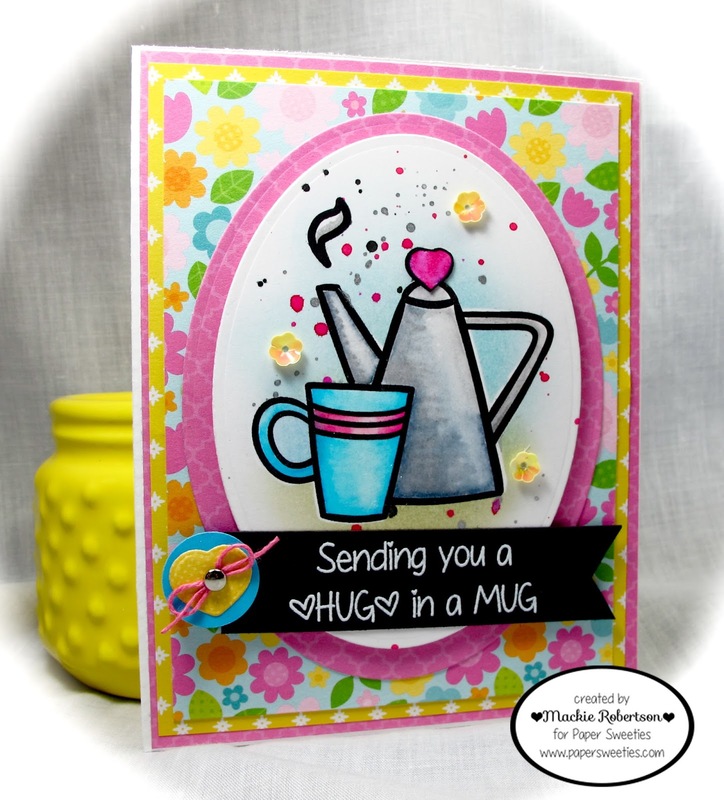 Such a happy summer huggy card!! I love it. 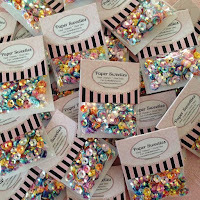 Cute, fun and so summery! Beautiful colors. I love this. I think this is so pretty!!! LOVE the papers and the whole design!